With locations like one of Miami's coveted downtown hotels, the Sky Terrace at Miami Tower and St. Francis Church on South Beach- I was all kinds of excited to document the wedding day of Michelle and Fernando. The beautiful bride began by preparing for day at Muse Salon and Viceroy Miami where hair stylist, Olga DelRio, and makeup artist, Veronica Amitrano, completed her look. The interior of Viceroy Miami was designed by, in my opinion, one of America's best modern designers, Kelly Wearstler. I loved the way the room's rich color palette and decor paired with Michelle's heavenly Lazaro gown and heirloom vintage accessories. Just before the sunset, Michelle and I were able to spend some time on the windy spa deck at the Viceroy for these portraits- finishing just in time for her to meet her groom for their evening ceremony. I've always loved the mission chapel-style exterior of St. Francis De Sales church on South Beach. 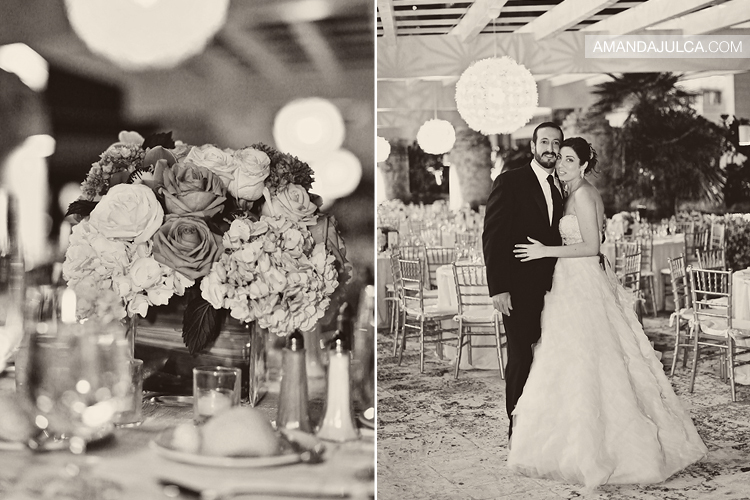 The romantically lit interior was perfect for their evening ceremony. After the ceremony, we headed back downtown for more portraits of Michelle and Fernando on the beautiful rooftop of Miami Tower's Sky Terrace. Classic Fare Catering and Events and Dreams & Designs completed Michelle and Fern's vision for a modern reception on the terrace. Just as I wrapped up documenting the reception, I walked along the rooftop terrace, faced my fear of heights and captured this shot. 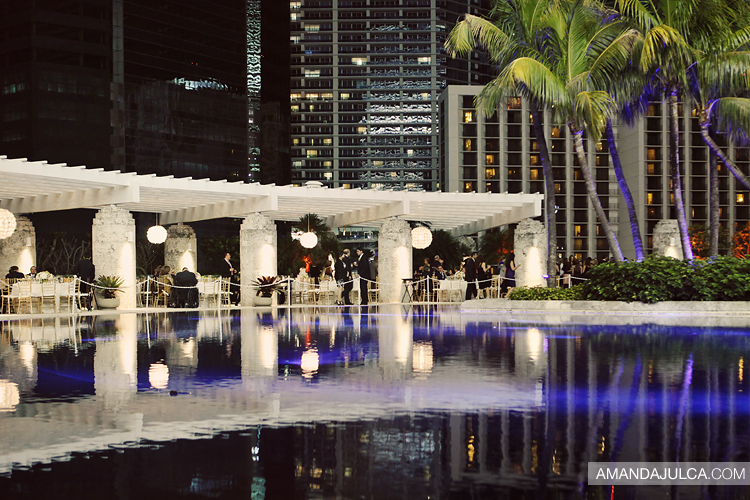 What a beautiful scene of life happening in Miami.